One of the distinguishing characteristics of diving as a sport and a profession is the sheer amount of gear necessary to complete a dive. While some of these items are simply to enhance the experience, like proper fins, just the right wetsuit, or non-fogging goggles, others have a more serious purpose: keeping you alive. For experienced divers and newbies, alike, it may seem overwhelming to be on the market for the tech that you need to be safe under water. After all, you don’t want to find out you made the wrong choice after spending all of that money or, worse, when you’re out there in the field. But don’t worry. The market today offers a huge variety of quality products that have been rigorously tested and approved. And we’re here to help you make the best decisions about tech that will ease any concerns you have about safety. That way, you can focus on a great dive. 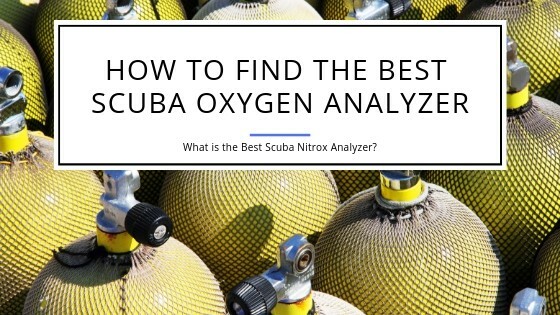 Here’s a quick overview of the scuba nitrox and oxygen analyzers we review for you below. Check them out here if you’re in a hurry! Before we check out the details about each of these devices, let’s have a look first why you need an oxygen analyzer when you go scuba diving! What is a Oxygen Analyzer? There’s nothing quite as important during a dive as the air you breathe, which is why finding the right oxygen analyzer is a must. These devices, often portable and hand-held, are able to read the gas content in the tank so that you can be sure that what you’re breathing is safe. Without getting too technical, an oxygen analyzer, also called a nitrox analyzer, works like this: air from the tank is pulled through the device where it reacts chemically with an agent, the oxygen sensor, inside. The reaction produces an electrical current that can then be read by the sensor to tell you whether your mixture matches what the manufacturer promised. It may seem redundant to own an oxygen analyzer when the distributor undoubtedly tests the air mixture multiple times before selling it to you. Yet, considering the gravity that a mistake on the part of the manufacturer would be, it’s pretty standard practice to check the mixture yourself before diving. 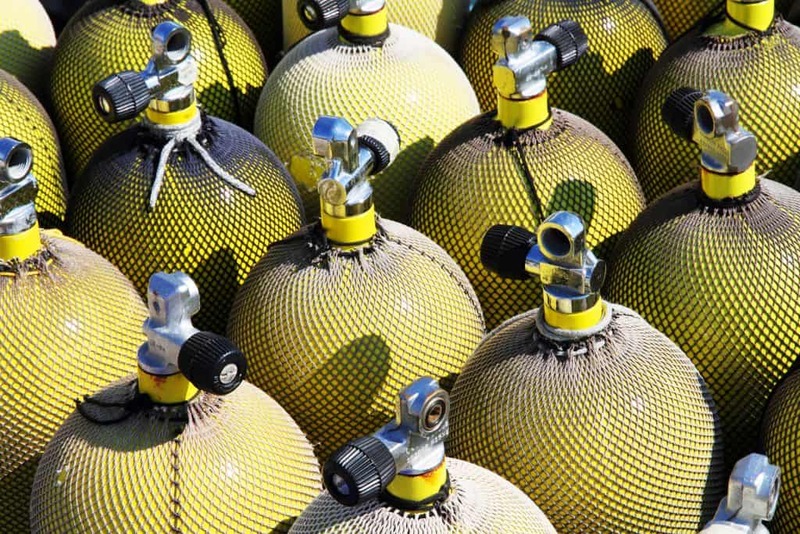 After all, if the oxygen content is even one percent off of what you need for your dive, you could be facing critical issues. While the technology inside may seem complicated, modern oxygen analyzers are incredibly easy to use. Most feature a simple interface, a couple of buttons, and, of course, the inlet which can pull gas from the BC or directly from the tank. Make sure to have a few batteries on-hand or charge your device ahead of time and you’ll be ready to get started! 1. Calibrate – This step is important. You should be calibrating the device for each use, and it generally only takes a few moments to do so. On many analyzers, you can simply hold down the calibration button and wait for it to do the work. 2. Open the valve on the tank – You want a slow steady stream of gas so that you can get a consistent reading. 3. Get your reading – Cover the open valve with the corresponding intake on the analyzer and leave it on for a few seconds. You’ll know you’re within a few tenths of your accurate reading when the analyzer begins to slow and stop changing numbers. 4. Make sure the level is where you want it – Many recreational divers make use of Nitrox, which tends to be about 21% oxygen. That said, some mixtures can range from 22% to 40%, so check with the manufacturer to figure out whether your reading matches the correct level. And that’s it! You’re ready to dive! There are a lot of analyzers out there, so you want to do your research before making a purchase. In general, you’re going to spend somewhere between $200 and $400. The sensor inside will need to be replaced after 36 months for around $80. So what’s popular on the market right now? âThiï»¿s nitrox analyzeï»¿r is designed with simplicity in mind. 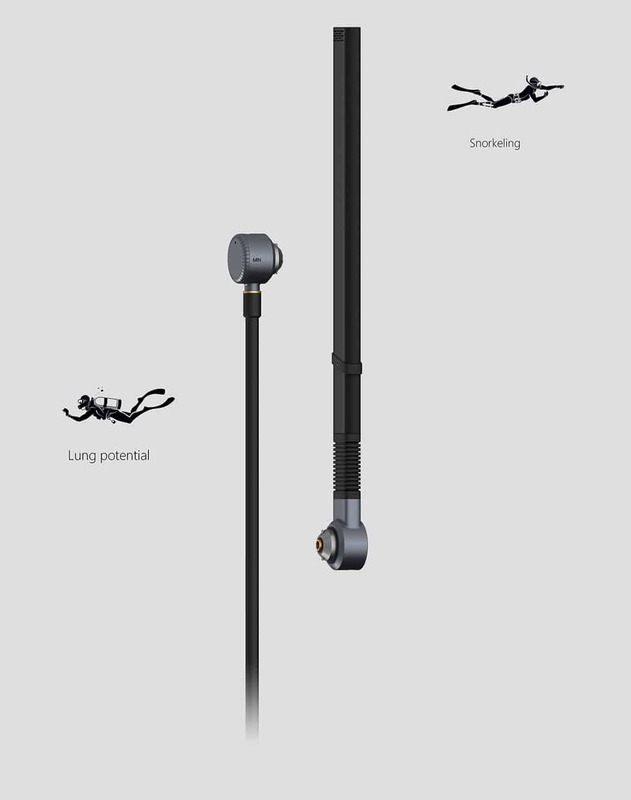 It comes in the shape of a stick which makes it easy to transport and bring with you. The best part about it is that it’s designed for use with a single hand. Both battery and sensor are replaceable to ensure your investment into the device is safe. 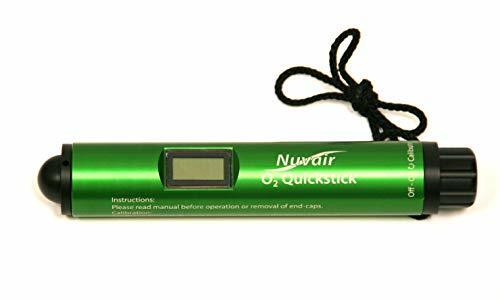 The Nuvair O2 Quickstick comes with a one year warranty on the device and a two year warranty on the sensor. This device is simple, ergonomically-designed, and built to last. Only 2 AA batteries will provide up to 5,000 hours of use, so you never have to worry about recharging when you’re out on the boat. 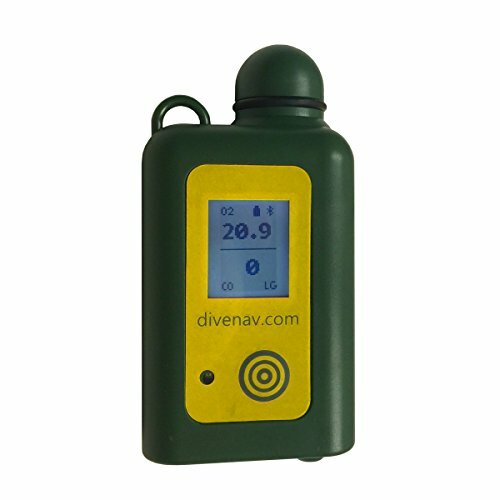 Highly rated, this analyzer is a favorite for many divers. The MaxO2+A Scuba comes with a two-year warranty. 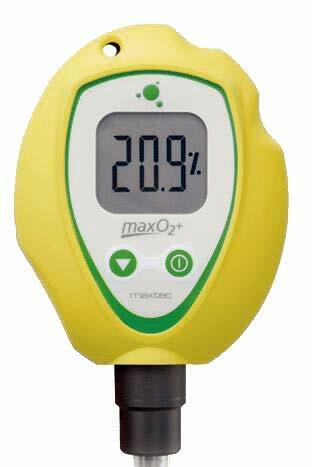 Produced by Analox, this analyzer is even more aesthetic than the MaxO2 and comes in a variety of colors. It can test air from the B.C. or the tank directly, giving you more control on how you test your oxygen. The O2EII Pro Nitrox Analyzer comes with a three year warranty. What sets this device apart is its ability to analyze both Oxygen and Carbon Monoxide. It can be used with or without a smartphone app that can log your oxygen levels, and charges by USB. You get the Cootwo Dual Gas Analyzer, a carrying case, and the charging cord. Now that you have the safety of a quality oxygen analyzer, you’re ready to get in the water. With the peace of mind that a reliable piece of technology like this can bring you, you’re sure to have an excellent and safe dive! As you’ve probably already guessed, the cost of scuba diving and your certification varies depending on many factors. The price will depend on where you plan to dive, and whether it is off-season or in-season. We’re not going to leave you without an answer though. Here are some estimates on what you should expect to spend. Remember, scuba diving is not the cheapest hobby, but the price seems unimportant once you slide underwater and see all of the beauty surrounding you. Getting certified to scuba dive is becoming more popular every year. We get asked for prices constantly. As we mentioned before, there is no exact answer. It will depend on what type of training you want, where, and when. Following is a list of estimated costs for scuba certification to give you an idea. The first part of your diving certification program is done in the classroom. You learn the basics of diving and get a good understanding of what to expect. You can do the academic portion of your training online instead of in a classroom. The online course costs $185. If you want to get the textbook and a DVD, you will pay $146. You need to start in a safe place to learn how your equipment works, which is done in a swimming pool. The pool dive section of your training costs $190 for adult divers and $205 for children. The children’s class is usually smaller, resulting in a higher price. If you choose to do this section of your training at another training facility, or pool, you will need to check their pricing. Practicing in open water if the final phase of your scuba diving certification training. It requires four dives to complete the section of training. Prices for scuba diving vary greatly depending on location. You should expect your costs to be around $200 to $250. 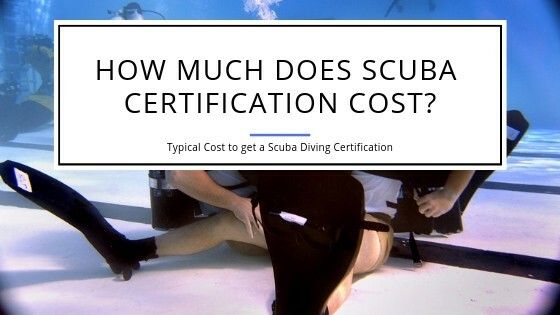 If we combine the costs of your classroom/online training, pool dives, and open water dives, your total cost for your scuba diving certification will cost between $350 to $450. Some trainers offer a complete package at a single price, but you should still estimate your total price will be between those numbers. Are you planning to buy your own scuba gear after you finish your certification, or to continue renting? Renting equipment is cheaper up front, but if you dive frequently, the cost of buying may be cheaper. The prices of diving gear vary greatly depending on the equipment you choose, and whether you buy new or used equipment when you rent. You should plan on buying your own mask, fins, and a snorkel. Many instructors require you to buy this equipment before starting. You may want to buy your own dive computer, too. It is easier to learn how to use one dive computer and use it continually, than learning to use a different brand at each dive location. To just get the basics, without the computer, you should expect to pay around $150 to $200. If you want to get fully outfitted, which would include the mask, fins, snorkel, BCD, dive computer, and a scuba regulator, you could spend over $1000. If you are trying to save money, do not try to save it on the regulator. Your regulator can be the difference between life and death. 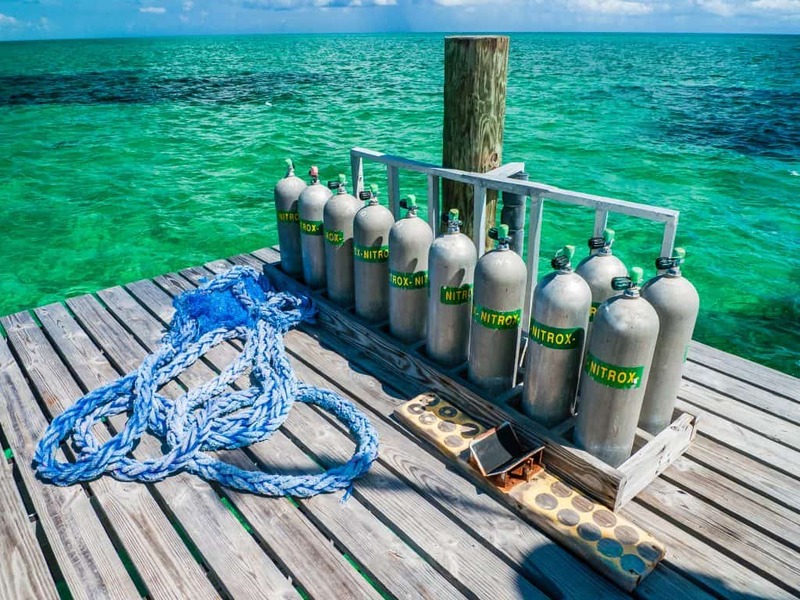 Ask your dive instructor and dive shop for recommendations for a high-quality regulator. This same advice applies to all of your gear, quality is critical. Just getting your basic gear is not the end of your shopping. You may want to invest in a wetsuit, dive watch, a dive bag, and other diving accessories. If you are like most divers, you collect these things over time as your budget allows. The basics will get you started and you can add accessories along the way. Once you have that certification in hand, you are going to be itching to go diving. You can already picture that first tropical dive. The most popular dives are a 2 tank boat dives. Your costs will vary depending on location, time of the year, and the operator. For a Caribbean outing, you should estimate paying around $75 to $!30 for a 2 tank boat dive, with most operators charging closer to $75. You can find cheaper dives at international destinations, with dive prices dipping to around $50. 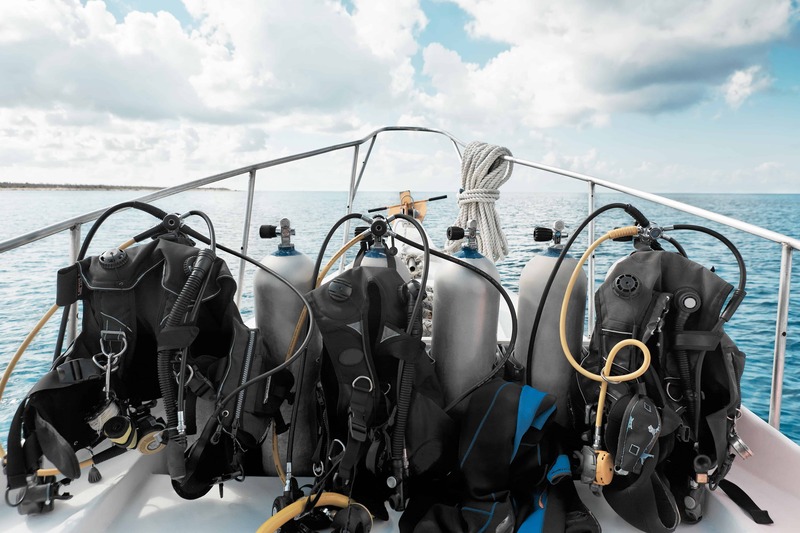 Renting your equipment will add a little more to the diving expenses. You should expect a full set of rental gear to cost about $25 to $50 for the day. A few operators include the price in their fees, but that is not common. If you are doing an entire week of diving, ask about weekly rental discounts, offered by most dive shops. Scuba diving is not the cheapest hobby, but it is one of the most rewarding. There is not other hobby that will give you the level of adventure and memories that scuba diving provides. 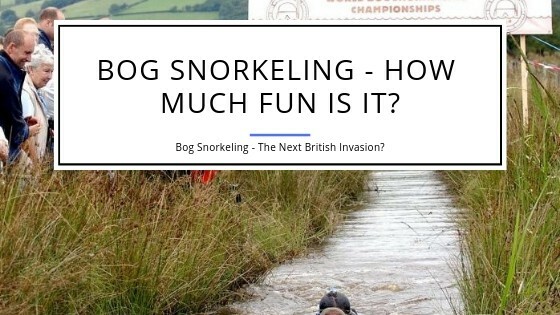 Bog snorkelling is one of those activities where you have to be a little crazy, probably a little drunk and just looking to have a good time. What is it you might ask? It’s exactly what it says. 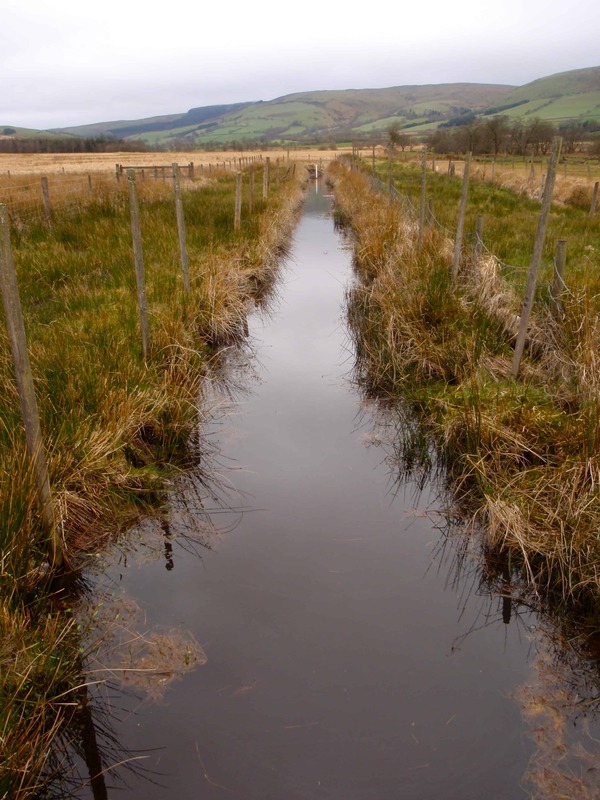 You have to snorkel through a swamp (bog). And the ‘sport’ is around for over 30 years by now and there’s even a World Bog Snorkelling Championship. Maybe if you practice a lot and train hard you might become the Tom Brady of Bog Snorkelling. Up for the challenge? All you need is a snorkel mask and, you guessed it, a snorkel. Oh yes, you also should not mind getting muddy. Other qualification? None really. Probably you should be a little whacky. The next World Championship is ;scheduled for this year in August in Llanwrtyd Wells in Wales, UK. This year they will be on Sunday, August 25, 2019. It’ll be the 34th World Bok Snorkeling Championships! Find a swamp and start to practice. There’re still a few months to get ready to compete. If you want to register then have a look here to find out all the details! Over the last few years participants from a number of different countries started to participate, making this a true World Championship. Contenders came from the UK, Germany, Sweden, Eire, Czech Republic, and Australia. Maybe this year there’ll be some folks from the US and Canada to compete for the title? Oh, and if you look for a swamp then don’t think of practicing in the Everglades. The Gators’ are faster than you can snorkel… No matter how much you practice. Pick a cooler, muddier spot. One other thing. You might get an advantage by using a full-face snorkelling mask. Makes breathing so much easier! Would that make a difference? Bog-snorkelers, can you share your experiences with us and leave a comment whether it’s better to use full face snorkeling masks or traditional snorkel goggles and a snorkel? Suunto has settled a class-action lawsuit in the US. It covers a number of Suunto dive computer models that were allegedly defective. They agreed to pay $50 million due to ‘faulty’ scuba computer hardware and software. The lawsuit states that the models were built and sold by Suunto and distributed by Aqua Lung. The claim is that these dive computers were defective. The readings for depth and temperature were not accurate and potentially could put divers in danger. The settlement enables you to get a free inspection, repair or replacement for these dive computers. After getting a RMA number from Suunto and you sending your dive computer in, they will determine whether your model has a faulty depth pressure sensor. If it does it will either be repaired or replaced for free. Getting the accurate depth and temperature is critical while diving. Some divers determined that the depth shown on their Suunto dive computer did not match the real depth they were diving at. Being aware of your depth is important as it impacts how long you can stay underwater, how quickly you can ascend, whether you need safety stops, etc. It’s obvious that wrong readings can put you in danger to get the bends. After researching these initial issues, it became clear that this was not a single occurrence of a faulty dive computer. Many divers over the years have experienced the inaccurate depth readings on their different Suunto models. The claim is that both Aqua Lung and Suunto knew about it but did not efficiently fix the issues even when the devices came in for repair. Supposedly, the remedy was to replace the dive computer with a new one. The problem here certainly is that the new dive computer had the same faulty depth sensor in it and that resulted in not fixing anything for the affected divers. The lawsuit stated that both Suunto and Aqua Lung knew of those defects but did not issue a recall. Instead, they continued to sell these models. The lawsuit further states that both companies should have stopped selling the products and replace the faulty depth sensors in their design. Both Aqua Lung and Suunto denied any wrongdoing on their part. The settlement was reached to keep the issue out of the courts. 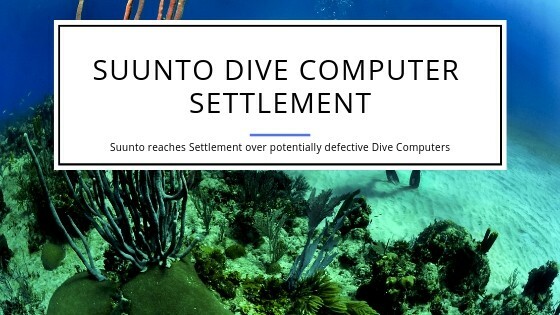 You can find out whether you qualify for the settlement at http://www.suuntodivecomputersettlement.com/ and/or at https://www.suunto.com/en-us/Support/dive-safety/suunto-dive-settlement/. Both pages provide detail on how you can find out whether your Suunto dive computer is affected and how you can have it checked out! If you use one of Shearwater Research’s yellow wireless transmitters, then continue on reading. The company has issued a voluntary recall for those devices. The issue is that the yellow transmitters might end up using the same transmission interval that their grey cousins use. If you use both yellow and grey transmitters on the same dive, then there might be signal interference which can lead to the signal dropping which results in communication loss between the transmitters and the dive computer. The transmitter itself is, as already mentioned, yellow. It has the letters “FCC ID: MH8A” printed on it besides a serial number. The Shearwater Research part number for the device is 13009. If you own one of these YELLOW transmitters, then stop using them immediately. Instead, contact Shearwater Research through their website or call them during business hours. 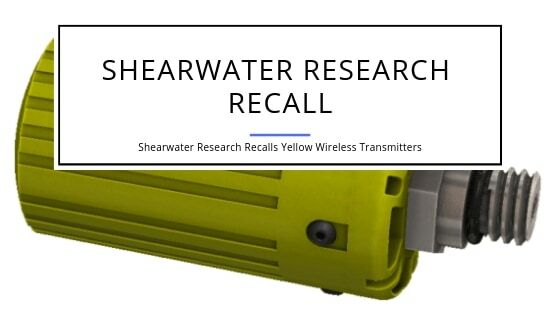 You can find more information on Shearwater’s website at https://www.shearwater.com/announcements/voluntary-recall-notice-yellow-transmitters/. The phone number to call is +1 604.669.9958. You can also contact them through email at info[at]shearwater.com. If you use the email contact, then please provide your physical location. They will then provide you with information regarding the repair or exchange of the yellow-colored transmitter. Get an RMA number before sending the tank transmitter. Please know they also sell these transmitters under different brand names. Shearwater only services and deals with those yellow transmitters that are sold under the Shearwater brand. If you have one from a different brand, then please contact that manufacturer to get further information. If you are using a grey transmitter, then there’s nothing you have to do. The grey version is not affected by this voluntary recall. Neither are any other devices from Shearwater Research like their dive computers e.g. the Teric. Have you ever wondered why the average snorkel is very short? It may seem as though an extra-long snorkel would be a better investment because it means you can reach greater depths. In reality, the short design of the snorkel is intentional. There are namely two reasons why the snorkel has such a short length. The first of those reasons involves a concept known as dead air space. You are likely very familiar with the respiration process. During each breath, a person inhales air into the lungs. Once there, the oxygen is taken from the air and then supplied to the rest of the body via the bloodstream. Carbon dioxide is produced from the metabolized oxygen and is then exhaled. The human body is strong enough to pull the air needed past these dead air spaces, though they could be considered obstacles. Another point to consider is that some carbon dioxide remains in the dead air space during exhalation. Once again, the body is adequately equipped to handle the small amounts of carbon dioxide that is pulled from the dead air space into the lungs during the next inhale. When a person is using a snorkel that snorkel becomes yet another dead air space. The problem here is two-fold. First, it is, however, another obstacle for the body to pull air past. Second, it becomes another chamber that stores small amounts of carbon dioxide during respiration. The larger or longer the snorkel is, then it would increase the work needed to inhale, the amount of carbon dioxide stored in the dead air space, and the amount of carbon dioxide that would be inhaled. That is one of the main reasons why the snorkel must be designed carefully and often very short. One possible technique that can be used to overcome this problem is the dual-tube arrangement. This requires one tube for inhaling air and a second tube for exhaling carbon dioxide. A valve is then used to control where the air can flow. However, this does not decrease the amount of dead air space that needs to be overcome during inhalation. It only prevents the reintroduction of carbon dioxide. Experts have determined that the maximum possible length for a snorkel without sacrificing safety is 16 inches. This was resolved not only considering dead air space, but also the second reason behind limiting the length of snorkels: air pressure. Let’s avoid the technical jargon and discuss the concept in its purest form. As an object or person descends in water the amount of pressure on them is increased because of the weight of the body of water. This pressure acts on all aspects of the person, including their airspace. The extreme compression on the lungs prevents the muscles from being able to inflate them. It’s estimated that the average human would lack the necessary strength to inflate their lungs and inhale at any depth greater than two feet. It just would not make any sense to design a longer snorkel even close to 2 feet because humans would not be able to use it. The previous points were focused on the length of the snorkel, but there is also reasoning behind the snorkel’s diameter. 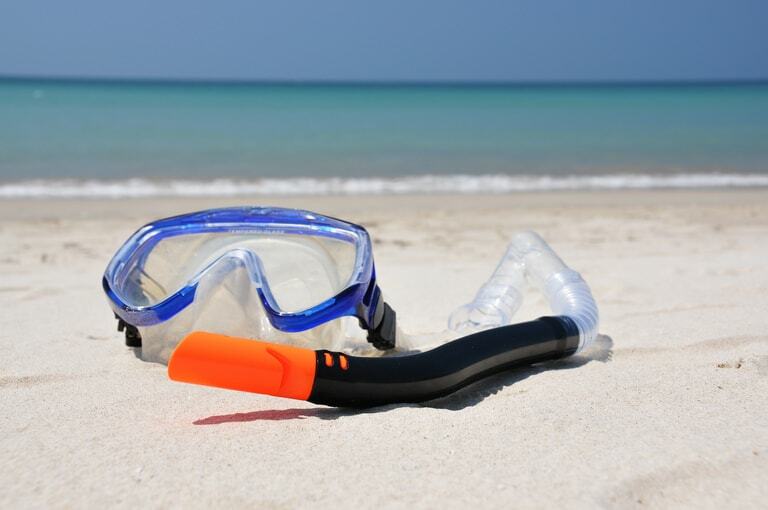 The average snorkel has a diameter of .75 inches, and it is intended to reduce resistance when inhaling. When combined, the length and diameter of the snorkel should be enough to supply the user with adequate airflow and minimal resistance without creating too much dead air space. It is technically possible to increase the diameter of the snorkel, which would allow for creating a longer snorkel with the same amount of resistance. This would hurt the user’s ability to handle the snorkel under the water. They would also still encounter the problems described above. 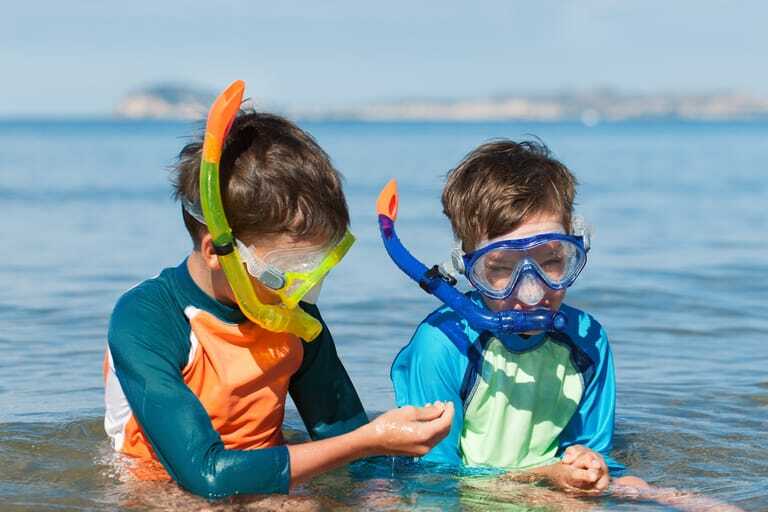 One final point worth considering is that snorkels designed for children are meant to be shorter and have a smaller diameter. They are designed like this because children have smaller lungs and weaker muscles. A child should never use a snorkel that is intended for an adult. The ocean is an amazing place with fantastic creatures and even more amazing sights. Luckily, we have the opportunity to go into the sea and see these things for ourselves by scuba diving. With the proper equipment, we can go deep into the sea to discover things that we couldn’t imagine above ground. While diving is a great experience, you want to be sure to be extraordinarily careful. One of the most dangerous things that can happen is a panic attack while underwater. A surprisingly large amount of deaths while diving involves panic attacks. Panic attacks cause 20% of scuba diving related deaths, and another 23% of the death attribute a panic attack as a direct cause of the death. Being underwater puts people in a vulnerable state. We cannot naturally breathe underwater, so it’s easy to understand how someone can become frightened when something goes wrong. Struggling to breathe can cause anyone to panic, and that’s only one thing that can lead to panic. Here is everything you need to know about underwater panic attacks and how to recognize and prevent panic attacks from happening underwater. What are the dangers of diving? Depression sickness happens when you breathe in too much nitrogen. When you rise to the surface, this can cause serious problems, including nerve and tissue damage. Not only is this extremely painful, but it can also impede breathing. In some cases, it can even result in death. An obvious danger of diving is drowning. If you aren’t adequately trained, go against your training or panic, it can result in drowning. Water will start to fill in your lungs and prevent you from getting the air that you need. In some unusual situations, you may get air into your arteries that can cause the blood to stop flowing. This can happen if the diver holds their breath while ascending. This can be very dangerous, even fatal. After descending about 100 feet, divers can experience what is called nitrogen narcosis. The diver may experience brain fog and not be able to think properly. They may even experience the giggles and have a feeling similar to drunkenness. In this condition, the diver may not be able to make proper decisions. This lack of decision-making skills can lead to severe injury or even death. Diving can be a dangerous activity. It’s only common sense to understand and accept this. When you know that you are going into a potentially dangerous situation, your body will release Adrenalin. When your body releases a lot of Adrenalin, you will naturally respond with fear and anxiety. The proper amount of fear will cause us to go into a fight or flight mode, but too much anxiety may cause the body to shut down. When the body shuts down, it can prevent us from doing the proper thing in an emergency. One of the most dangerous things about anxiety is that the higher the level of the panic attack, the less you will be able to help yourself. That’s why it’s essential to prevent or minimize a panic attack before it happens if possible. There are many reasons that someone can reasonably have a panic attack underground. The deep sea is full of the unknown. This mystery in itself is enough to give someone a panic attack. There are also heavy currents, dangerous marine animals, equipment failure, and physical problems that can cause someone to have a panic attack. 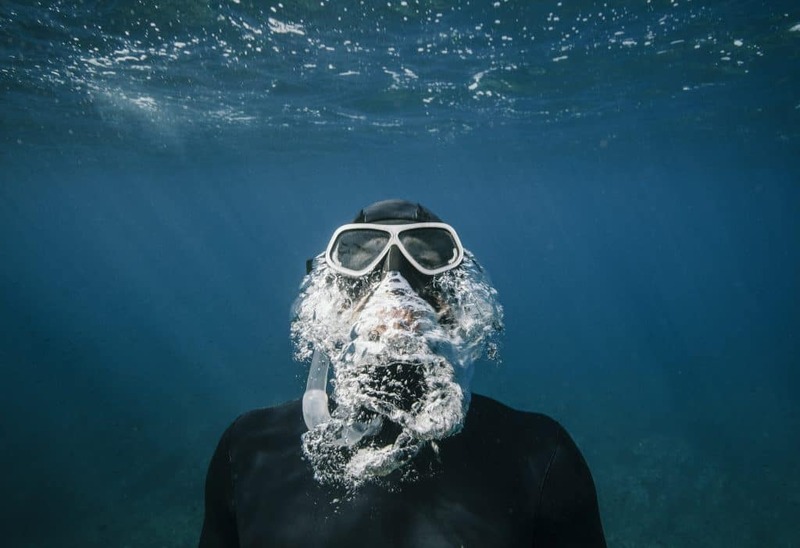 Being underwater and experiencing difficulty breathing can make someone feel like the figurative walls are closing in on them and create a feeling of claustrophobia. It’s also important never to force someone to go underwater if they are not ready; it will only cause a potentially life-altering problem. These are the reasons that can happen to people who don’t already have anxiety issues. There are also some basic statistics to keep in mind. If someone has panicked while diving before, they are up to 2.7 times as likely to panic again. It shows a pattern, and you should be prepared to handle the pattern or not dive if you have had a panic attack before. Women are up to twice as likely to panic as men. 24% of men reported having a panic attack while diving and 37% of women reported having a panic attack. Knowing the facts can take you to the next level. When you immediately recognize that you have a panic attack, you have a much better chance of doing something about it and preventing something hazardous from happening. There are some signs of an anxiety attack. First, you may experience a general feeling of fear and inability to concentrate. Next, you may feel dizzy and short of breath. Other signs include irritability, nausea, muteness, and sweating. You’ll also notice that your heart is beating at a much faster pace than usual. 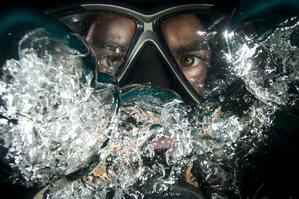 In its most severe form, a panic attack can cause the diver to act irrationally and make possibly fatal mistakes. The mask could flood, causing drowning and possibly death. It’s important to spot these signs in other divers, too. Remember that not all signs of a panic attack can be identified while underwater so be sure to pay close attention to the people you are diving with so that you can help in an emergency. Get a refresher course if it has been over a year since your last dive. This will help you feel secure in your abilities. It will also remind you of safety procedures and what to do in the case of an emergency. 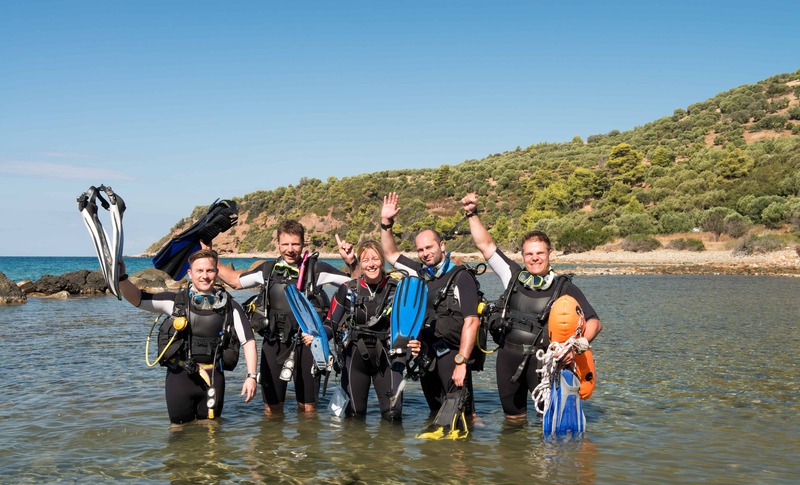 If you feel the need to have extra assistance, go on a trip with an instructor or experienced divers so that you know someone is there to help you in the case of an emergency. 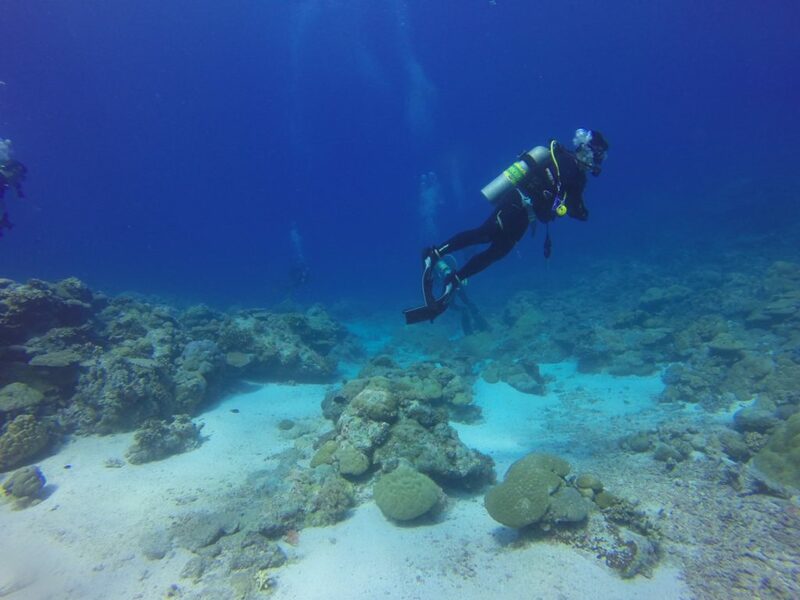 Even if you are experienced, you also want to study the specific dive and practice your skills. Create a plan and follow it. You also want to be aware of your skills. It’s extremely dangerous to dive past your skill set. Never dive while intoxicated. Alcohol and drugs inhibit your ability to make the right decisions. It can also prevent you from being able to follow a plan and impair your motor skills. Finally, it can cause depressive thoughts which exasperate anxiety. Even caffeine can create anxiety, so be careful! You may think that a couple of cups of coffee before a dive is a good idea, but you could end up regretting it. If you already have an anxiety disorder, do not go diving until the disorder is entirely under control. Talk to a psychiatrist and get the proper medication. Remember that it can take a while to get your medication under control, so be sure to give it some time to ensure that you have the proper medication and proper dosage. Be sure to take note of any side effects and consider how they might affect a person while diving. Tell your doctor if you plan to go diving so that they can keep that in mind when they prescribe you medication. Also be sure to mention all other medical conditions and medications that you are taking. While you may be tempted to go alone if you can’t find others to go with, you should seriously wait until you have a group of people to go with to help you in case something goes wrong. Learn how to communicate with your other divers effectively so that you can all be safe. This involves a lot of body language and merely being alert to those around you. What should you do when you have a panic attack? If you notice that you are having a panic attack while diving, you need to take immediate action. First, take a deep breath and analyze the situation. Next, concentrate on small breaths. If you are around other divers, get their attention for help. At the very least, you want to let them know that you will be heading back to shore for air. Safely come back to the surface by having control over the regulator and keeping yourself as calm as possible. It’s imperative not to ascend back to the surface rapidly. This can be very dangerous and lead to decompression illness. This happens because of the dramatic change in pressure. Primarily, you will breathe in nitrogen. When you come back to the surface, you may create nitrogen bubbles. These bubbles, especially when left untreated, can be very painful and can even result in death in some cases. Every diver is taught not to do this, but it can be hard to remember when having an anxiety attack. Luckily, 85% of people remember not to move up too quickly. You cannot find an experience quite like diving. The more you dive, the more you will want to explore. After you get certified in diving up to 100 feet, you can learn more and get certified to dive even deeper. When you dive deeper, you can see even more. Just remember that the deeper you dive, the more dangers you may face. Training will help you handle these dangers properly. They will also help you learn how to manage the fear and anxiety that may come from these dangers. Be sure to take a deep breath if you become afraid and remember your training to reduce as many hazards as possible. One of the most dangerous problems in diving is oxygen toxicity. It’s having too much oxygen when you are underwater. It’s also called hyperoxia. The air on land consists of around 21% O2 (oxygen). Without oxygen, we’re not able to survive. However, too much oxygen can also be a bad thing. It’s not the amount of O2 in the air that is of importance but the partial pressure of O2 (pO2). If that gets too high (or indeed too low), it’ll end up becoming toxic which can be fatal. The partial pressure of O2 is measured in ATA (atmospheres). On the surface, you have 0.21 ATA (21% [0.21] times 1 ATA). Our bodies can sustain a pO2 of 0.16 ATA on the lower end. When often exposed our body can even adapt to lower pO2 levels. On the upper level, we can tolerate pO2 levels of up to around 0.45 ATA for more extended periods. During shorter periods this level can be increased to more than 1.6 ATA. If you are exposed to high levels like that for a longer time (hours or days), then there will experience toxic effects that will first affect your lungs. However, if you’re exposed to levels higher than 1.6 ATA, the toxic effects start at the brain. Even after just minutes of exposure! The danger is that one day you might not have any issues, but your body can react the next day by showing those toxic effects! When you dive, you will automatically be exposed to higher pO2 levels. Every 33 feet of depth increases 1 ATA of pressure. So, at 99 feet the pressure is 4.0 ATA. Diving with Air accordingly results in 4.0 * 0.21 which is 0.84. Quite a ways away from the limit of 1.6 we mentioned above. The whole picture changes when we look at Nitrox. If we take a 40% O2 level in Nitrox, then you’re already at 0.4 ATA on the surface. At 99 feet with 4 ATA of pressure you get to 4.0 * 0.4 equaling 1.6 ATA! You’re passing the threshold where it can get dangerous for your health at that depth! The table below shows at what depths you’re dealing with too high levels of pO2 during diving. Most recreational divers that only dive with air pretty much never have to worry about oxygen toxicity. There’s no way that you’d reach depths below 218 feet to face any problems. Why 218 feet? At 218 feet the pressure reaches 7.61 ATA. If you multiply with 0.21, then you end up at the ‘magic’ 1.6 ATA of pO2 where things become a problem. Realistically, you won’t dive deeper than 130 feet and as such stay way above the depth where you would be exposed to oxygen toxicity. At 130 feet you end up at just a tad over 1.0 ATA. At 132 feet the pressure reaches 5 ATA which results in 1.05 pO2 (5.0 * 0.21). At that level, there should be nothing to worry about. The air supply is also limited so there’s practically no chance to stay at even a 1.05 ATA pO2 that would be long enough to cause lung toxicity. You can’t bring enough air tanks with you to reach that limit! Using Nitrox, the calculations change dramatically. An increasing number of recreational divers use Nitrox with up to 40% O2. In some cases, they might even use pure oxygen for decompression. With these exposures to higher levels of O2, it can very quickly happen that you face oxygen toxicity. The table above shows that you reach a pO2 level of 1.6 ATA at only 99 feet! Compared to the 218 feet for Air, this is a depth that many recreational divers find themselves in regularly and for more extended periods of time. The result is a real danger to your health! If you dive with Nitrox, then make sure to do your calculations upfront and to use a dive computer that alarms you when the pO2 limits are reached! For the most part, oxygen toxicity will affect the human brain and the lungs. Long-term exposure will damage your lungs. The cells will die off, and your body won’t be able to absorb oxygen anymore which will lead to suffocation. At pO2 levels between 0.45 ATA and 1.6 ATA, the most impacted organ is your lung. Above a concentration of 1.6 ATA, your brain will suffer. Your cells in your body are built to be able to live within a specific range of pO2. Exposing them to higher levels for a long time kills them. Your body can withstand a certain amount of cells dying, but if too many of them die then eventually, you will die. In most cases, we just are not exposed to high enough levels of pO2, or we’re not exposed long enough. The damage in those cases is reversible and as such usually doesn’t have a lasting impact. As mentioned, the two organs most affected are the lungs and the brain. However, extended exposure to medium levels of pO2 can impact another part of your body – the eyes. The effect is that your eye can start to become near-sighted. This condition is also called hyperbaric induced myopia. Going above a pO2 level of 1.6 ATA will impact the brain before the lungs. Prolonged exposure to elevated pO2 levels affect the lung, and you will feel mild irritation in the throat. The deeper you breathe, the worse that irritation will get! The next stage is that you’ll experience a mild cough that increases continuously until it’s quite painful. At that time you usually cannot stop to cough anymore! If at that time the exposure continues you will feel tightness of the chest and difficulty in breathing. Shortness of breath also sets in. Continuing exposure will eventually cause death. The lungs cannot exchange CO2 for O2 anymore, and your body will not get oxygen, and you will suffocate. Prevention of pulmonary (lung) oxygen toxicity is to limit the exposure to pO2 to the shortest time possible. Diving with air only and not diving below 130 feet should ensure that you’re not facing any issues. When diving with Nitrox, it can help to add breaks where you switch to air instead of nitrox. That will allow your body to repair at least some of the cell damage in your lungs during the period in which you switch to breathing air. A possible scenario would be that for every 25 minutes of Nitrox you breathe at least 5 minutes of air. There’s no guarantee though that this will work to avoid oxygen toxicity of your lungs entirely. It can provide you with a more extended period though before its onset. Damage to the brain can happen much quicker than for the lungs. However, you will need to be exposed to higher pO2 levels. When diving with air that’s practically not possible to happen. With Nitrox, the possibility exists. pO2 levels of 1.6 are reached at only 99 feet with a 40% oxygen level. Pure oxygen (100%) reaches this level at a depth of 20 feet! Be careful when you decompress on 100% oxygen! Recreational divers using 40% Nitrox will usually not run a risk. The story is different for technical and commercial divers that go deeper and stay down longer on Nitrox! The effects of CNS oxygen toxicity often come without warning. Some people experience a seizure with no other precursors like headaches, etc. While there is a good thing about seizures that arise from brain oxygen toxicity, there’s also a terrible outcome that is very real. First, the good news (if we want to call it that). Because your body and brain are having so much oxygen on board, there’s most likely no permanent damage due to CNS oxygen toxicity when you experience such a seizure. The bad news is that because you have such a seizure, there’s a very, very high chance that you will drown. Or, if you ascend there’s a chance that you suffer pulmonary barotrauma which also can be fatal! The symptoms of CNS oxygen toxicity range from convulsions (seizures) to tunnel vision, ringing in your ears, nausea, and dizziness. The seizures are the worst effect and can end in death. You cannot prevent CNS oxygen toxicity through the use of any drugs. You can only avoid it by limiting your exposure to pO2. To avoid any possible implications you want to stay below a pO2 level of 1.6 ATA. Diving with air will usually not let you reach that level but using Nitrox can put you at risk. Develop a dive plan and stick to it. Make sure you stay below 1.6 ATA and even reaching that level should be for the shortest possible time. It’s better for your health while you’ll still be able to enjoy the wonders underwater! You know how it goes. You're on the dive boat and prepare for your dive. Well, you should have prepared before but for argument's sake, let's say you do it on the boat. Then you enjoy your time underwater and admire the sights to be seen. You get back on the boat and stow away your gear. Time to relax… Or, is it? Is your dive over as you're out of the water and stowed your gear? Is it time now to socialize and chat away? Or does it end when you take your dive buddy/buddies and discuss what happened during the dive? What was good? What went wrong? What should be done differently? Only by taking the time to analyze what happened during the dive will you be able to get down to any mistakes that were made and to avoid them in the future. Not reflecting on the dive results in you repeating the same mistakes again and again as you never consciously discussed them. Debriefing after a dive allows you to do precisely that. You get input from other divers, and you'll be aware of mistakes that were made which you want to avoid. Similar, going over the dive allows you to discuss situations that arose which could have been handled better. Now, most dives don't have any big mistakes as part of them. The ones that do usually don't end well for the participants. It is a known fact that if you replay situations, you encountered or that others encountered and mentally prepares for them and how to go through them you will less likely make wrong choices or even panic when those circumstances hit you underwater. Having a debrief with a large group is usually beneficial for anyone involved if all contribute and discuss potential risks like sudden strong currents, etc. Just talking through such situations will allow you to become a better diver as you mentally prepare for them. 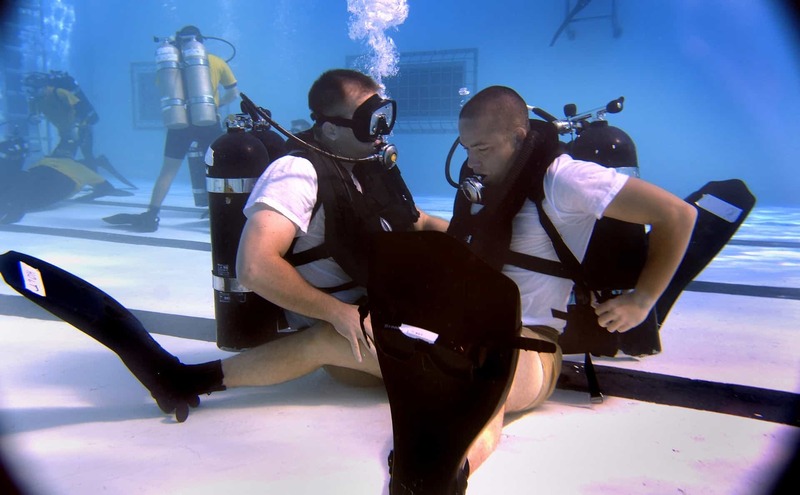 In turn, you will be better prepared to react to those situations when you encounter them during a future dive. Another important aspect is that you can compare air consumption. Consciously working on reducing your air consumption will allow you to extend your time underwater. And no, it's not about avoiding being the one to call a dive but to be able to enjoy longer periods under the sea! These are the lessons you can go over to master different and difficult situations underwater. But there's another critical aspect of the debriefing. That part is where you can discuss communication issues underwater. Remember when you were diving and you needed what felt like an eternity to get the attention of one of your dive buddies. Addressing this in a dive debrief raises the awareness of everyone involved that they have to pay attention to their partners! It's not only to address if one or some of the divers in a group didn't pay attention to signals. It also has to cover when you and your buddy had a hard time understanding the messages of each other. Bringing that to the surface and coming up with a plan to improve the signals between you which in turn will ensure that you have a safer and more satisfying dive in the future. Because who would want to waste time underwater trying to understand what specific hand signals your buddy was giving you? Being able to go over these experiences in detail can prove to be invaluable. They should be constructive and not a session to blame others for doing things wrong. Using them to improve your diving and techniques should be the goal for all involved. The best way is to go through the whole dive. You want to start from the pre-dive planning, gear preparation and go over all the pre-dive checks you did. Bring up any inconsistencies or problems that happened. Go through all of the steps and actions in chronological order. Small problems specifically at the beginning can lead to significant issues later on in the dive. Being able to identify them through the debrief is a tremendous learning opportunity and can teach anyone involved how to determine those issues in the beginning and then have a safer dive. Don't only concentrate on the problems or near-problems that you all encountered. It's also important to look at the things that went well before, during and after the dive. Positive things can be improvements that you recognize in your buddies diving. For example, improved navigation skills of a diver in the group are something to point out in a debrief. Pointing out improvements in your buddies and having a chance to discuss how they started to improve will also allow you to get tips and tricks on how to get better with your diving techniques. Lastly, it will motivate the other diver to continue to improve. 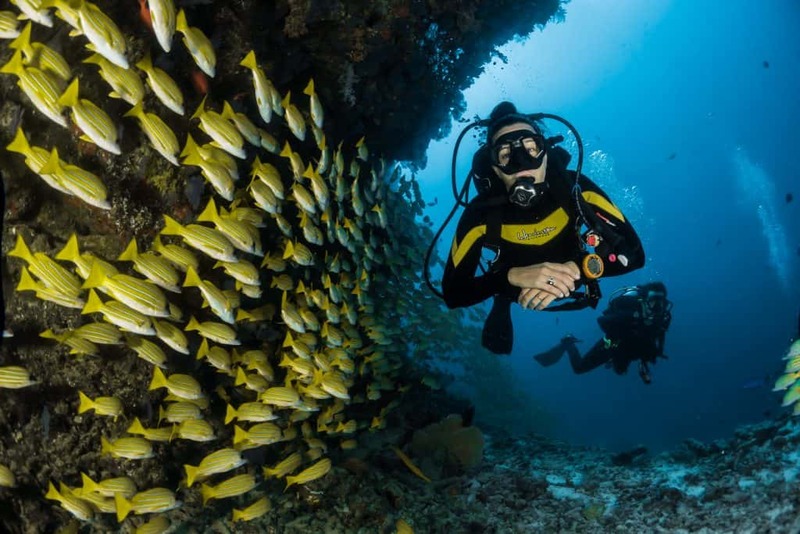 Diving with better divers does eventually result in a safer and more enjoyable experience. Debriefs only with a big group in a training environment? You’d think that having a debrief after a dive would only make sense after a dive with a large group or with a trainer. That’s very far from the truth. Having a debrief after a recreational dive with your dive buddy can add a lot to your experience. Even a rec dive can be a moment to improve and learn something new. You might not get into that much detail with your buddy as you would in a larger group, but it can still be invaluable to have a debrief. One topic you might have to discuss is whether your relative position to each other is how it makes the most sense. Sometimes divers end up right above each other. That pretty much makes it impossible for the diver at the bottom to see the body above him or her. Use the debriefing to bring up times during the dive where the positioning was not helpful. The most commonly found debrief topic is usually the communication. Or, the lack of it. Or, how you misunderstood the signals of the other. It's good practice to bring those moments up and work through them so you can avoid them in the future. If you go diving, you want to experience the world underwater and not have to try to figure out what the hand signal of your buddy meant. Who should lead the debrief? It’s good practice that the most experienced diver or the instructor leads the debrief. If that’s you then make sure that you give everyone in the group a chance to bring up any issues (positive or negative) that they had during the dive! Nobody in a dive group is perfect. Everyone will make little mistakes, have improvements or go through misunderstood signals. Bringing those up means that participants have to be good at bringing those issues up as well as willing to receive any criticism or suggestions. It’ll help all involved during the next dive! Having debriefs from now on? There's no law that there have to debrief after a dive. They can add a lot of value to the experience and allow all involved to gain trust and to improve their techniques rapidly. 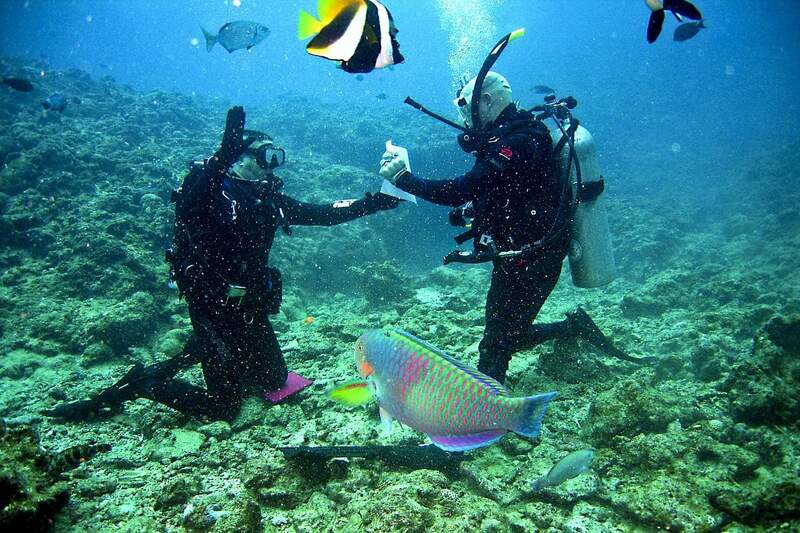 Having a debrief routine as part of your dives with your buddy will make the next dives more enjoyable. You can discuss all those small issues you experienced, and that'll get you to become a better pair when diving. Addressing them in the open with your buddy or a whole group will significantly improve the trust between each other. A factor that should not be undervalued! Initially, those debriefs might feel a little uncomfortable. You might have to criticize your buddy or be criticized. This is still a much better alternative than to endanger each other underwater or to waste precious dive time because you're trying to figure out what the other is trying to signal. Make sure that you do your part in such a debriefing of staying positive and not let it end up being a blame session. A positive debrief that goes through the details will improve the diving experience and safety of everyone in the group! Slow down! 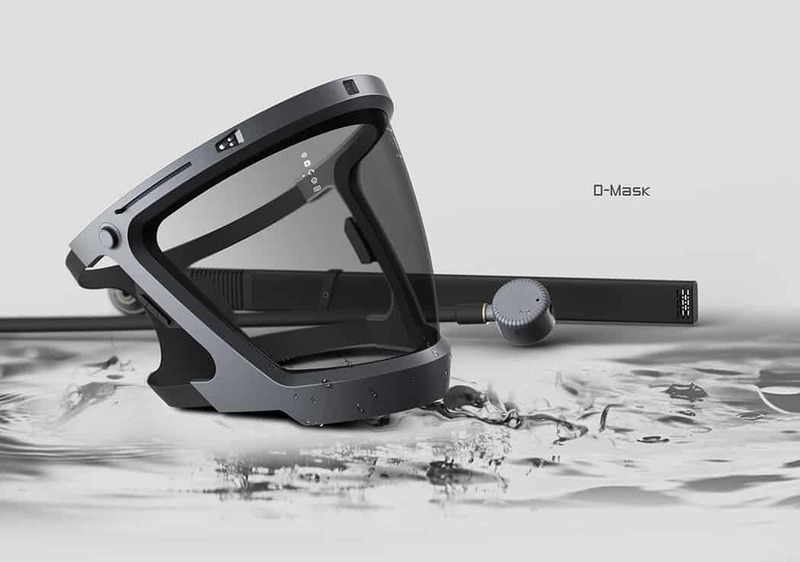 Before you run out and try to get this mask that promises to revolutionize both diving and snorkeling you should slow down a bit. Well, it's not yet available. It is a concept at this time, and as things go with ideas, it's not even sure that it'll ever be a product that you can buy. So, what’s so cool about this particular mask. First, it’s a full face mask. For snorkeling, you’ll see those around everywhere. Just take the Tribord Easybreath or the Wildhorn Outfitters Seaview 180°. Both are some of the best snorkeling masks you can get. And even for scuba diving, you can get full-face masks that are working very well. So, why all the excitement about this specific mask concept? In short, it's sleek, stylish, and different. It’s one single mask that you can either attach a snorkel to or a scuba tank. Interested now? Yes, you can use the same mask for both activities. That thought alone should count for something! Besides, there are some cool features integrated into the mask. First of all, the LED lights. They are built into the frame so you can get some lighting while you dive without having to use your hands. Quite ingenious as it would be an overall pretty easy solution that could become part of some of today's masks. That would undoubtedly require that the lights are strong enough to produce some brightness that's sufficient for diving. Next, we have a bone-conduction radio. 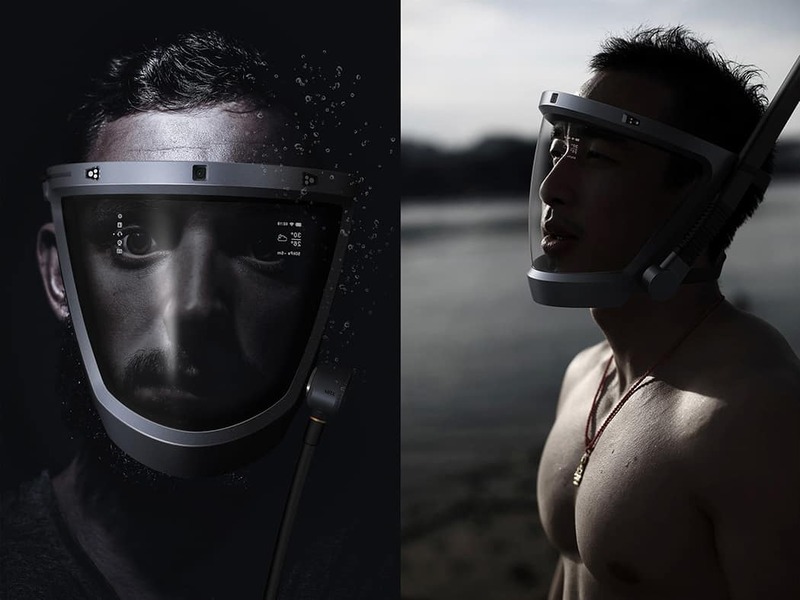 This would allow you to either listen to music or to communicate with your dive buddy. Something that currently is restricted to hand signals and boards to write on. Another entirely new improvement to how we dive and snorkel today. Star Trek – Here we come! Last but not least the mask also features a heads-up display. With that, some vital information like water temperature, depth, pressure and even weather conditions would be displayed right in the mask. Pushing the envelope farther, one could also envision the functionality currently in a dive computer to be provided that way. No more lifting your arm up or fumbling for the console to get the display into sight. It could all display on the lens itself. Similar to current full-face masks, it secures around the forehead, the sides of the head, jaws and the chin. Assuming that it does indeed create a tight seal, it'll provide a lot fewer pressure points on your face and will be more comfortable to wear and use. The level of comfort also increases as you can breathe through your mouth or nose and you won't need a mouthpiece. This reduces or eliminated jaw fatigue and tremendously improves the comfort of diving or snorkeling. The last positive that the D-Mask offers is also the same as you get with any full-face mask today. That is that you get a full 180-degree view as the lens is covering the whole front of your face. You can look up, down, left or right without the frame of the mask to restrict your view. This is a truly innovative design that in our opinion would make a good scuba and snorkeling mask. However, there are some features that we think might make this great design even better. To make it a genuine contender for full-face snorkel masks it would be awesome if the mask had a mount for a video camera. Or, even better, build a camera right into the frame. That way it could be used for snorkeling and diving, and then there'd be no need to have a separate camera. We do have a few doubts on how tight the mask can fit based on the images that ZJ-DDG has published. 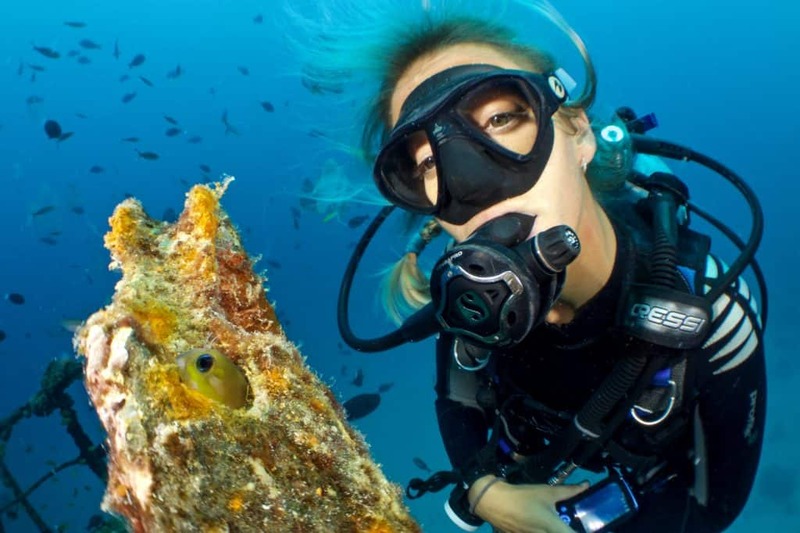 To make the mask safe for diving, it will have to be quite stiff, and as such, you'd need a pretty thick skirt all around the frame to make sure you can get a tight seal. This, in turn, could potentially create quite a lot of volume inside the mask which then makes it harder to use as a dive mask. It also seems a little far-fetched when you look at the images that were published, and you see some of the guys with beards. It's tough to get a tight seal with any dive mask when you have a beard. It seems quite hard to imagine that this issue would have been resolved and will work without a problem when you're 50 feet underwater! But, we’re nitpicking here. It’s overall a cool looking design that would seem to make a real nifty scuba and snorkel mask. We hope to see this design soon on the market and that we’re all able to try it for ourselves. Leave a comment below to share your thoughts on this design!